The Total War series gained a lot of fans with Rome, an entry that added a multitude of new features and slightly different gameplay elements. Patricia Ryniak and Dominique Starr of The Creative Assembly just published a video about what to expect in the campaign of the sequel. There certainly will be no shortage of choices in how to play in the game, according to the video. Each faction has its own specific unifying traits that bestow boosts and bonuses such as experience and resource gains, at the cost of certain decreased stats to balance it out. Similar to something like Civilization, each faction can also win the game via military, economy, or culture. The sharp-looking campaign maps also gets some time, which involves panels and menus that can alter the vital cash flow to the empire and conduct any other province-to-province diplomatic action around the empire. Finally, they pull up an overview map that has a more intricate view of factions, battle results, enough icons and numbers to make a Crusader Kings player swoon. Whet your appetite for the game with the video below. 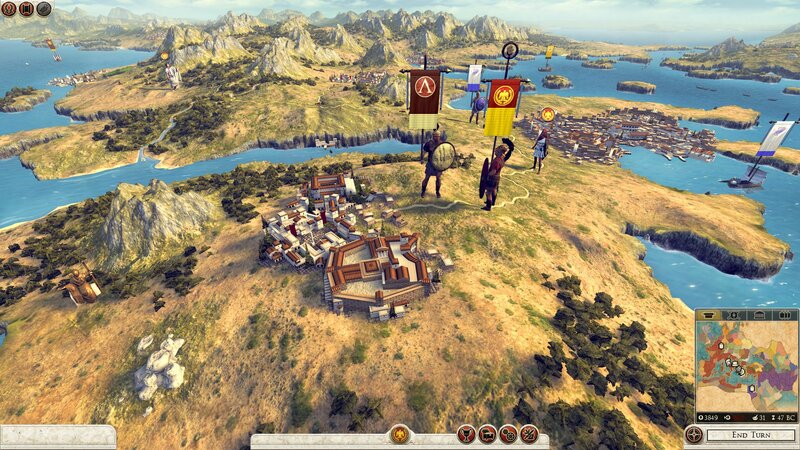 Will you be picking up Total War: Rome II? Tell us in the comments or find us on Facebook and Twitter!